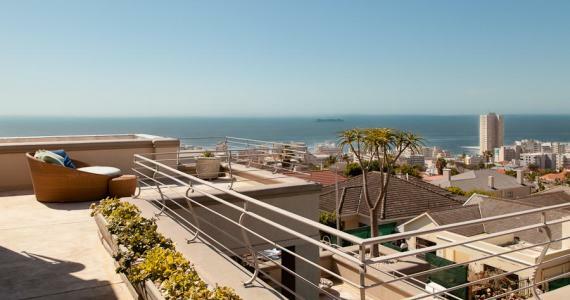 Villa Kasbah is a luxuriously appointed villa situated in the heart of Fresnaye – one of Cape Town’s most exclusive suburbs on the Atlantic Seaboard. Villa Kasbah – a beautiful self-catering villa situated high on the slopes of Lion’s Head, it’s luxurious Morroccan-inspired ambience and many comforts provide the perfect setting for your holiday. Generous spaces and exquisite patio views across the Atlantic Ocean to Robben Island will unwind and relax you, while Lion’s Head behind the villa provides shelter on windy summer day.